Elisa Spampinato is a researcher and consultant based in London, with a varied international background. 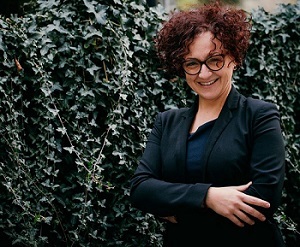 She studied Anthropology and Sociology at the University La Sapienza in Rome and completed her studies with field research in Brazil, focusing on local governance and experiments in direct democracy. Since 2005 her work has included participation at international seminars and diverse research projects in both Italy and Brazil. Elisa has worked in Brazil as a consultant and researcher, collaborating with the Federal University of Piauí, local enterprises and International NGOs. Her work focused on coordinating and planning social projects and field research promoting sustainable development for local communities in deprived areas in North Brazil. Later, Elisa turned her attention toward community-based tourism (CBT) experiences throughout Brazil. Her MA in Production Engineering at the Federal University of Rio de Janeiro served as a framework for her field work on slum tourism in Rio de Janeiro, an experience which was turned into a book in 2016 (Tourism in Carioca Slums and Situated Development: the Possibility of the Encounter in Six Local Community Initiatives). As a freelance consultant and researcher on sustainability, social innovation and local development Elisa is involved with local communities, international NGOs and universities throughout Latin America and in Italy. Elisa also continues to act as a consultant on CBT experiences in both rural and urban areas, with particular focus on slum tourism, Quilombo and women empowerment.